Books by Publisher: Harvest House Publishers,U.S. Wild and Free by Jess Connolly and Hayley Morgan is an anthem of freedom and a call to bold action, for the modern Christian woman, who is held captive by the belief that she is both too much and never enough. Katherine and Jay were a young couple living the dream in Southern California, but all is nearly lost when Katherine suffers a shocking near-fatal brainstem stroke and struggles to find hope in a life that looks nothing like the one they had before. 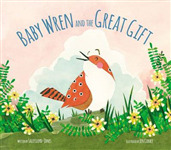 The Baby Wren and the Great Gift, written by bestselling author Sally Lloyd-Jones and illustrated by Jen Corace, is a picture book that prompts children to recognize the wonder of creation and all the amazing gifts he has given us. Planning and Post-It notes are the epitome of Evie's life. But when she meets Jack, her life gets more than a little complicated. In Answering Jihad, former Muslim and New York Times bestselling author Nabeel Qureshi explores what jihad is, how it relates to ISIS and Islamic terrorism today, and the most appropriate reaction for Christian believers. CASEY KNOWS THE TRUTH. BUT IT WON'T SET HER FREE. The softcover edition of the perennially bestselling Streams in the Desert, updated in today's language by Jim Reimann, will bring sustenance and replenishment to you, even when it feels like you are wandering in the desert.